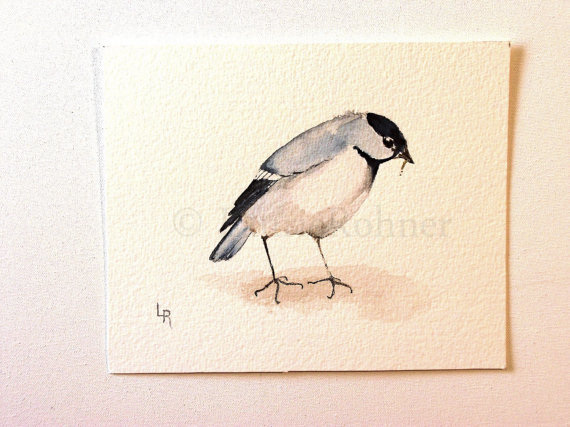 Nature Art woodland garden birds a collection of original paintings by Laurie Rohner in watercolor. 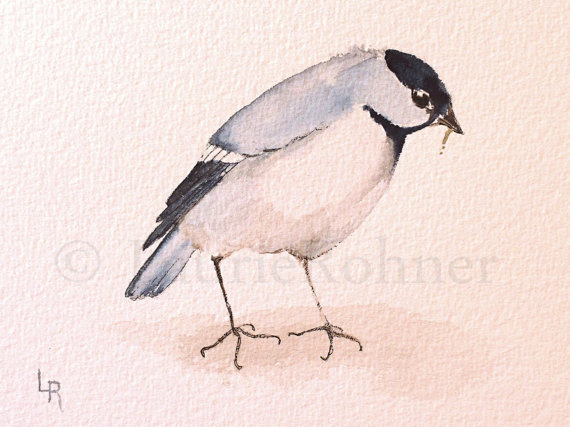 Nature art watercolor painting depicts a woodland bird titled Chickadee is original art by Laurie Rohner. 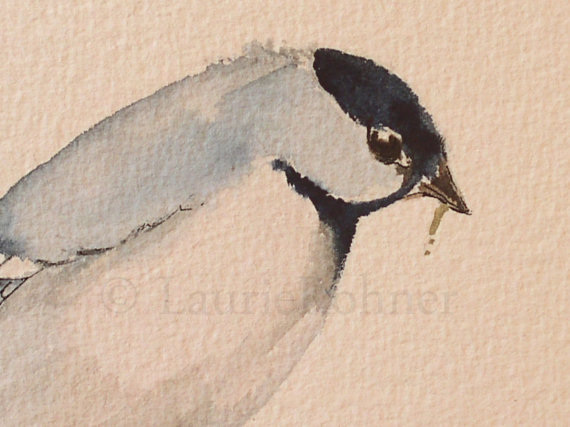 I love the subtle tones against the dramatic hit of navy gray on the head and wing of this watercolor. 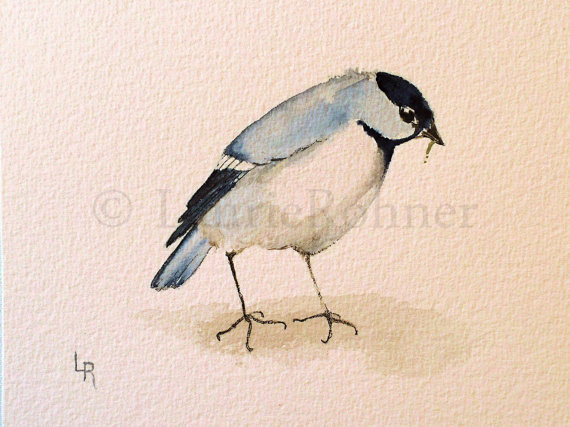 This is a mamma bird getting ready to give her wee one a worm. This is original artwork (not a print).